After my big success with homemade giardiniera I wanted to pickle everything in sight! 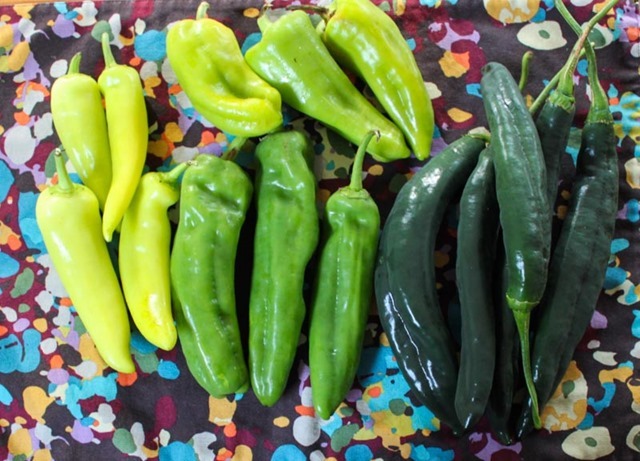 I used the same brine to pickle this amazing assortment of peppers I got at the farmers market. 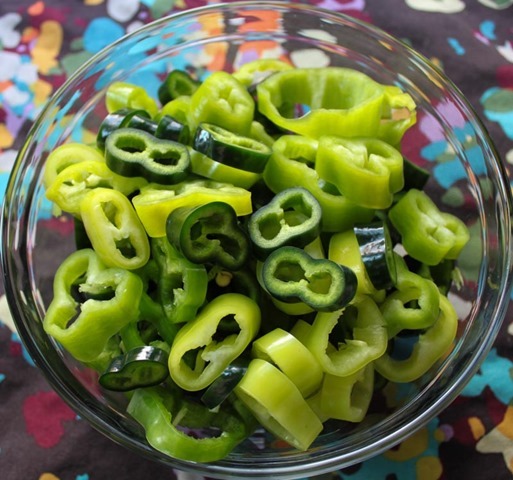 I have been eating these on everything – tacos, salads, sandwiches, etc. They are so good! This recipe is so yummy that it may put an end to my storebought pickled pepper habit (banana and peppadew are my weaknesses). 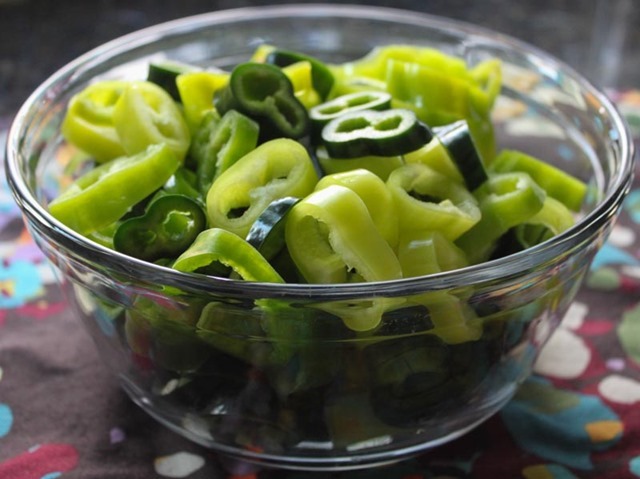 You can make this recipe with any peppers you like – chiles, jalapenos, poblanos, serranos, even bell peppers. I chose this variety because they looked fabulous at the farmers market and because they have a range of heat. 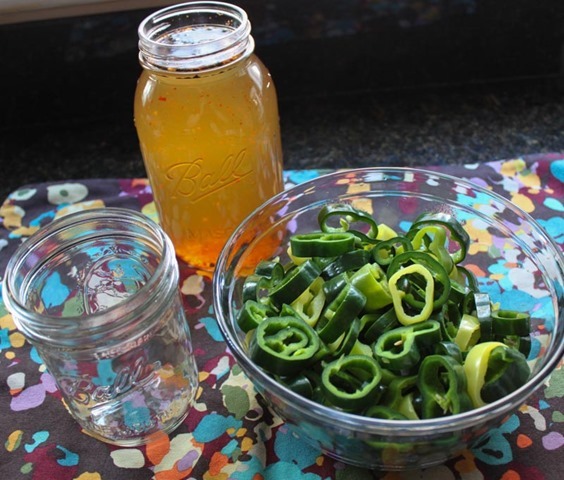 The brine/pickling liquid is really easy to prepare. Combine all of the ingredients in a pot and bring to a boil. 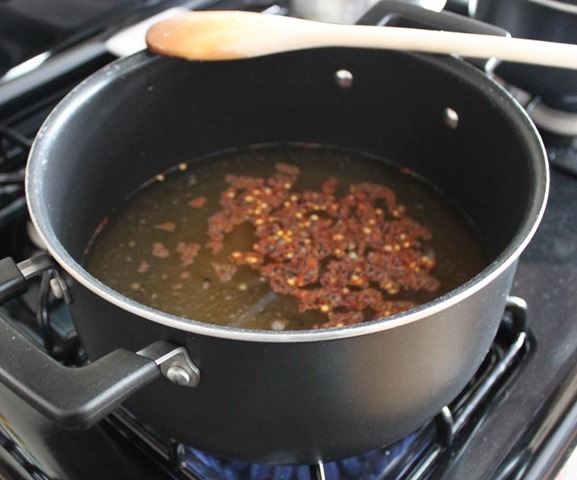 Once it begins boiling, reduce to a low simmer and stir until the sugar and salt have dissolved. Cool the liquid down to room temperature before using it. I transferred mine to a mason jar to cool so I could use my sauce pot for the next step. The next step is to prep the peppers! Wash thoroughly, cut the tops off, and remove all the seeds and inner ribs/bits. This works best with a paring knife and spoon. 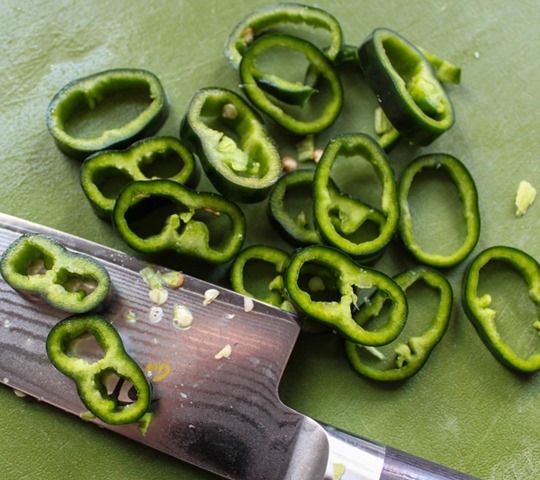 Slice the peppers into thin rings. Mix the peppers together so there is even distribution. Next, fill up a sauce pot with water and bring to a boil. 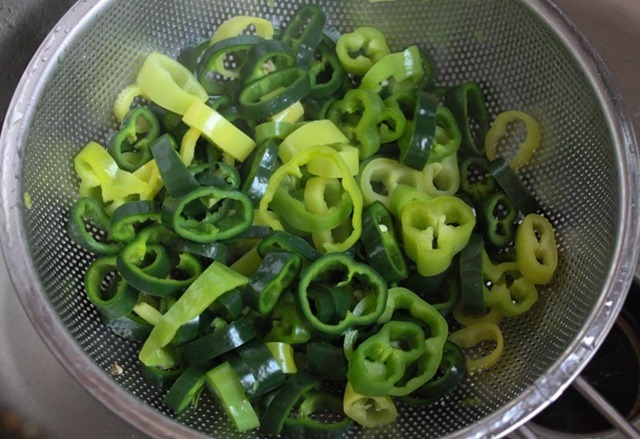 Blanch the peppers for 2-3 minutes, maximum. 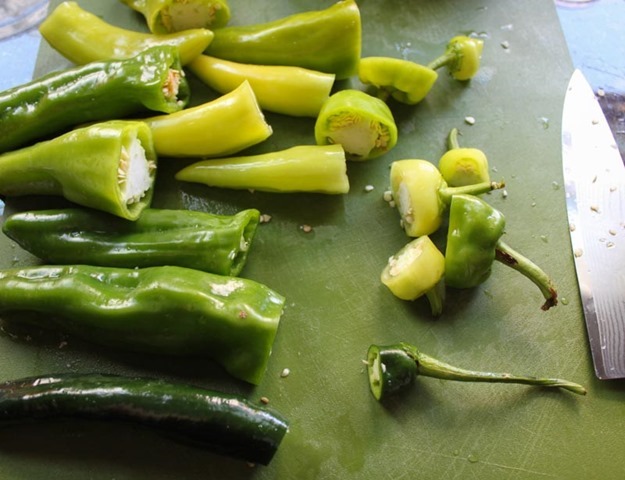 Drain the peppers well and let them cool for 7-10 minutes. 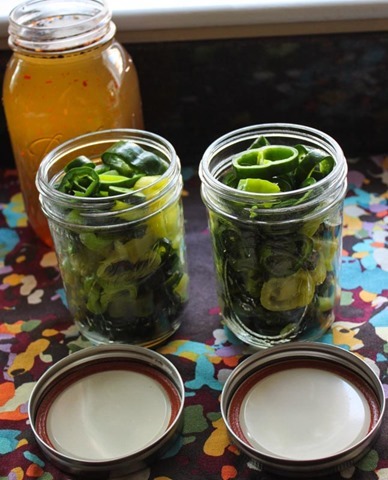 In two wide mouth pint jars, pack all of the peppers as best you can. 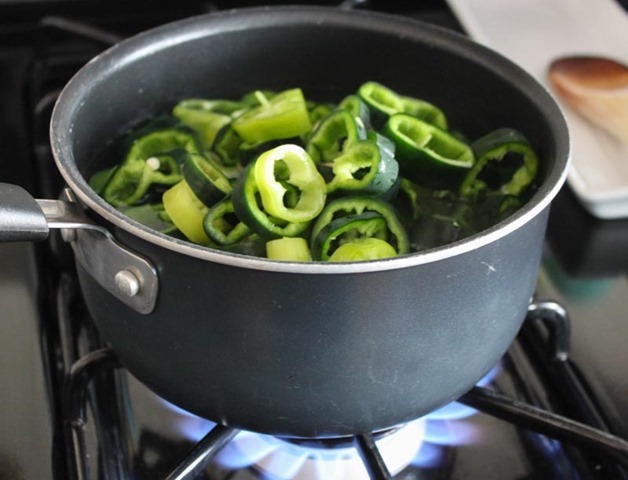 Then take the brine and slowly pour it over the top of the peppers. 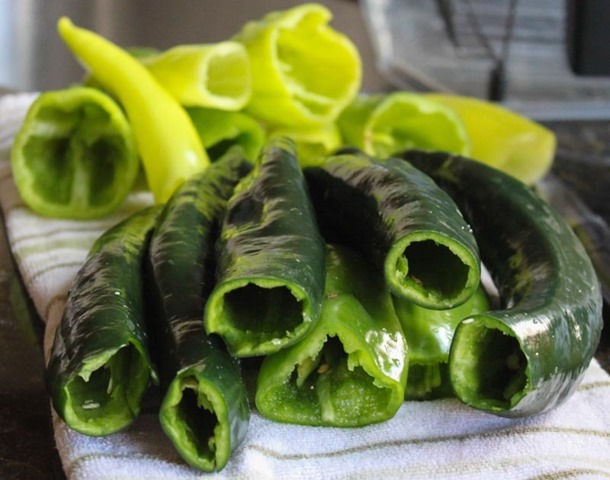 Save any leftover brine in an airtight container in the fridge for your next pickle adventure. 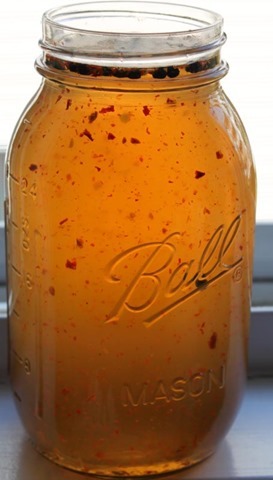 Twist on the lid, give the jar a good shake, and store in the fridge for a minimum of 24 hours before eating. 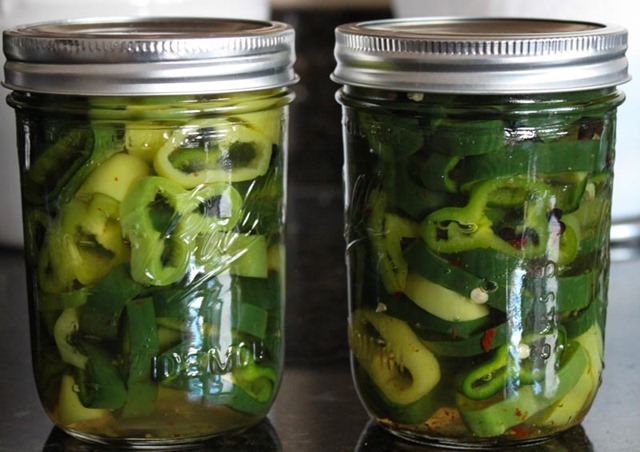 These pickled peppers will keep in the fridge for at least 2 weeks. Enjoy!